RTÉ Radio 1 has announced the end of its service on 252 kHz LW, which was widely available across the UK. 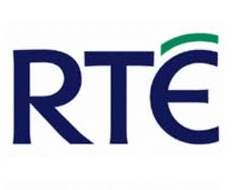 The service will cease transmission on Monday 27th October 2014 as RTÉ Radio 1 focuses on FM and DAB transmission, and "digital access points". RTÉ says in a press release issued today that the vast majority (or 98%) of RTÉ Radio 1 listeners will be unaffected by the move. It says that RTÉ Radio 1 will be "embarking upon an awareness campaign to inform remaining Longwave listeners of the superior alternatives to LW transmission." Across the UK, RTÉ Radio 1 is available via Sky 0160, Freesat 750, Virgin Media 917 and online. In Northern Ireland, the FM signal from south of the border is widely available. RTÉ Radio 1 uses the old Atlantic 252 transmitter for its Long Wave service since 2004. In March 2008, it withdrew Medium Wave transmissions. Notable is the reduction in reactions online when the LW service is off air - a spell off-air in summer 2012 prompted numerous queries across the internet, but recent downtimes have gone largely unnoticed. The switch-off is part of a wider move by broadcasters across Europe to close AM services in favour of FM and digital transmissions. The RTÉ Radioplayer provides online and mobile access to the Irish broadcaster's radio stations (data charges may apply). The RTÉ Radioplayer App for mobile is available from the Apple App Store or via Google Play for Android devices.
" In Northern Ireland, the FM signal from south of the border is widely available". Note the use of the word "Widely" and the fact that they haven't used the word 'universally'. The FM signal from Clermont Carn is certainly not widely available in Belfast and all points near the north coast. There was a political storm created in 2008 when they shut 657kHz particularly from people in NI and the promise was LW Radio is the answer to your listening needs and that LW radios are cheap and widely available!! Most radio listening takes place in the car. There are more LW radios than DAB radios in cars but this doesn't suit their argument. All in all stuff the listeners, particularly the elderly as we have a budgeting problem. Halving Joe Duffy's salary would probably keep LW radio on for another year at least!